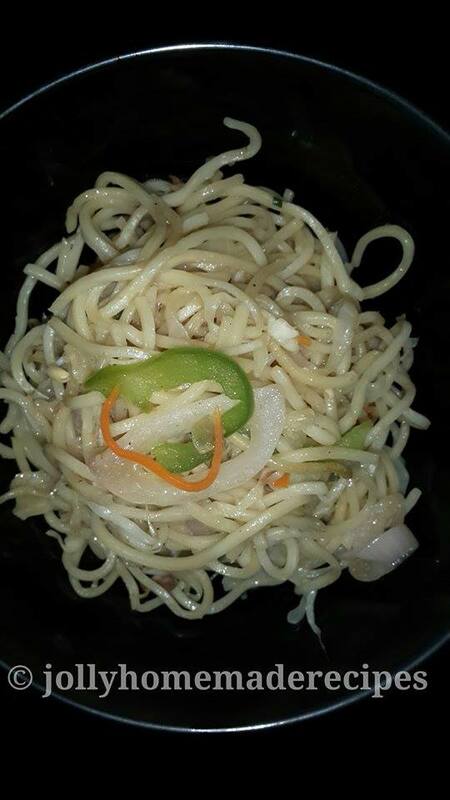 This a homely recipe of an Indo-Chinese veg noodles. Lots of vegetables are stir fried with boiled noodles and special chinese flavors. 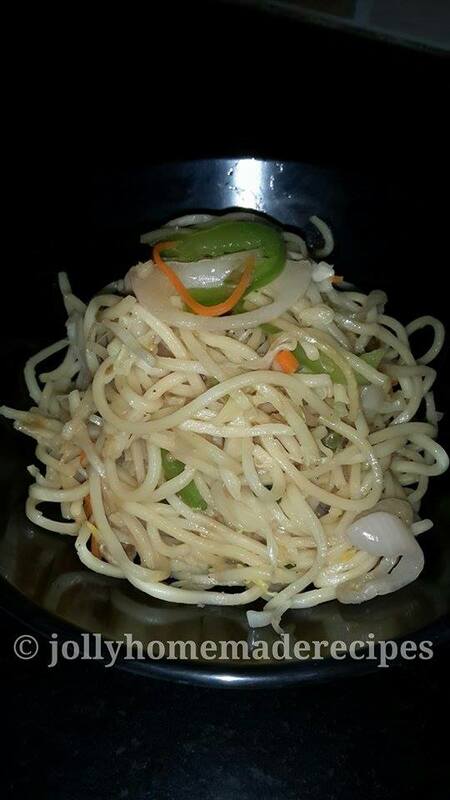 This version of veg noodles is neither spicy nor hot as I have not added any chili sauce, add the veggies can be of your choice. 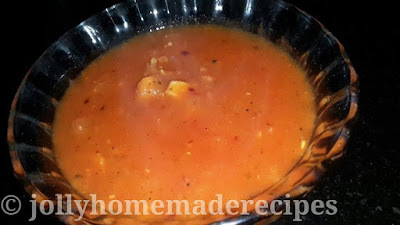 If you are looking for similar recipes then do check veg macaroni-pasta in tomato sauce , pizza tomato sauce , vegetable shell pasta in tomato sauce and homemade vegetable pizza recipe from scratch. 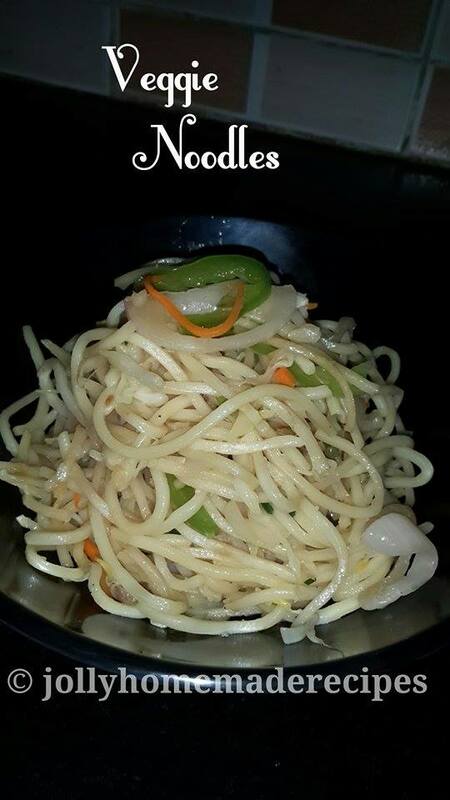 Let's start the recipe of veg noodles with step by step process. 1. First heat enough water in a pan with salt and few drops of oil. When the water comes to a boil, add the noodles. 2. Stir and allow to cook the noodles till they are just cooked. 3. Stir and allow to cook the noodles till they are just cooked. Drain and keep it aside. 4. Heat oil in a wok or pan, first add the garlic and ginger and stir fry on medium flame for some seconds. 5. Now Increase the flame to high & add the chopped spring onions, keep stirring continuously and stir fry the onions till they become translucent. 6. Now add the veggies - carrot, capsicum and cabbage. Continue to toss & stir fry on a high flame till the veggies are almost cooked. Some crunch should be there in the vegetables, so don't cook the vegetables till they become completely soft. 7. Add the soy sauce, salt and pepper. Stir and then add the cooked noodles. keep on tossing and stirring till the veggies are mixed well with the noodles for minute or two. Switch off the fire. 8. Check the taste and add more salt, black pepper or soya sauce if required. 9. You can serve the noodles with Italian tomato sauce also or Serve hot with tomato sauce. Thank you so much dear Jeena !! Simple and nice noodle, good for a lazy day or for light meal. Thanks a lot Herbs Spices and Tradition !! I love noodles in any form.. This looks so yummy and delicious.. This is so yummy and beautiful dear. Lovely share!